Evening guys. I hope you had a great bank holiday weekend. I got a few jobs at home done including weeding the back garden. Don't you just hate weeds?! It seems like you get rid of them one week and they are back the next! I am not green fingered at all so I'll stick to what I know..doing my nails! 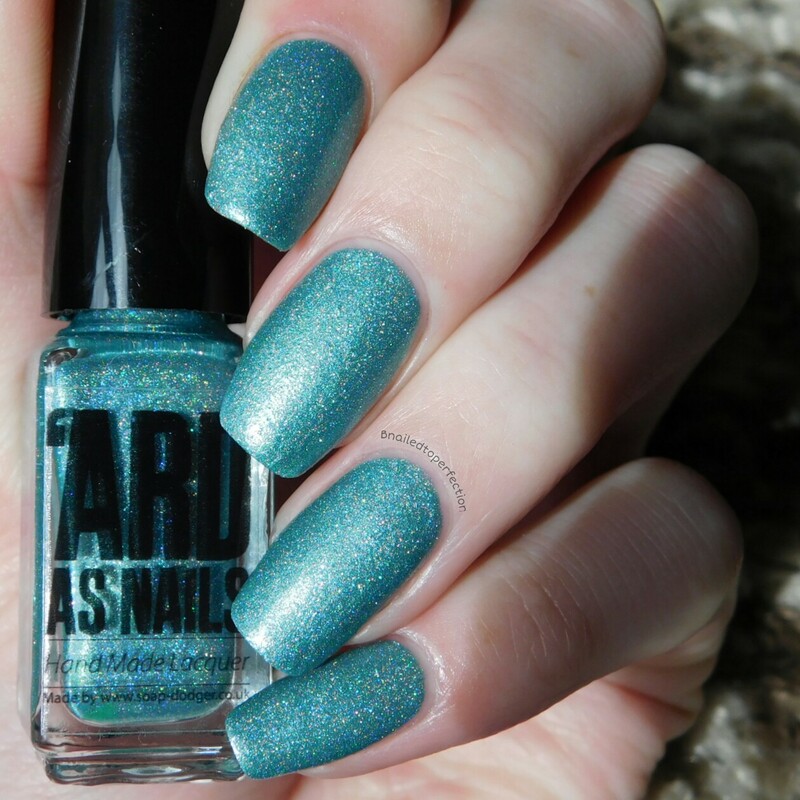 I have the wonderful #Hashtag collection to show you today from 'Ard As Nails. 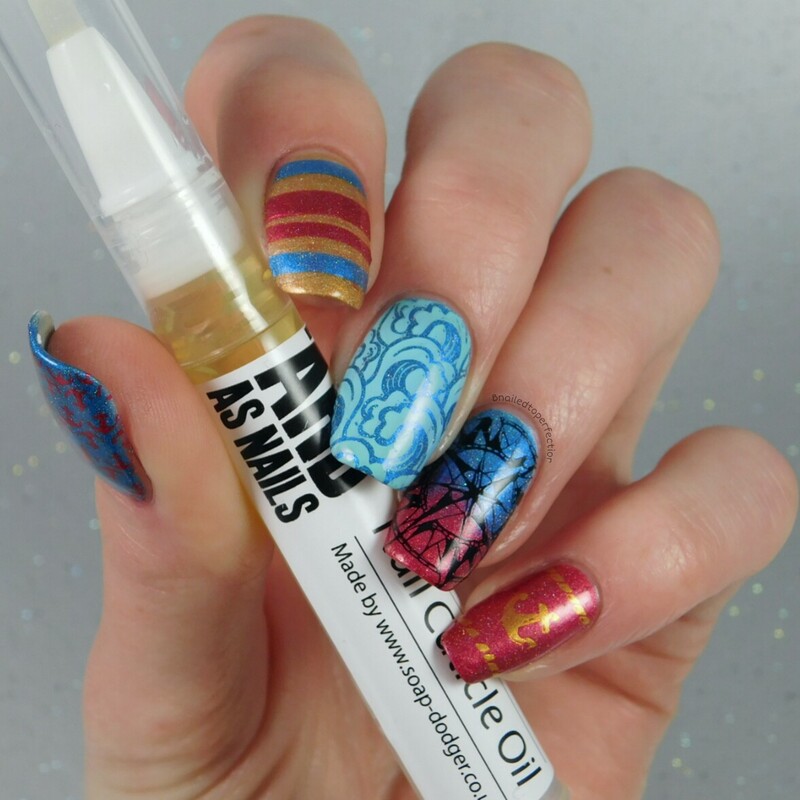 I was super happy when the lovely Kat contacted me about reviewing this collection and she was kind enough to include some of her new cuticle oil. Let's see some swatches! 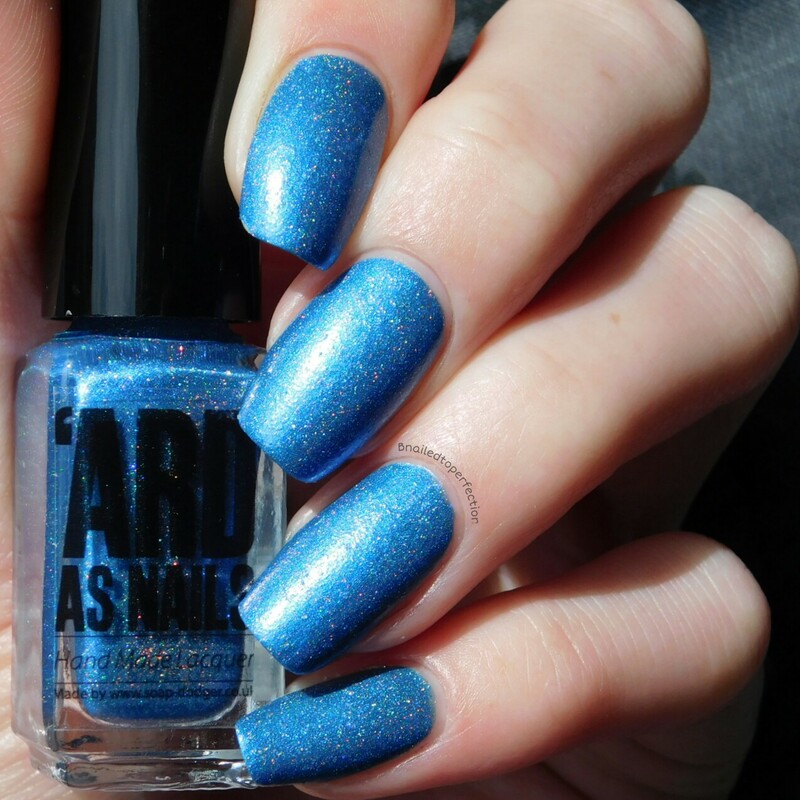 I am normally a blue lover but #Legend is the star of this collection for me. 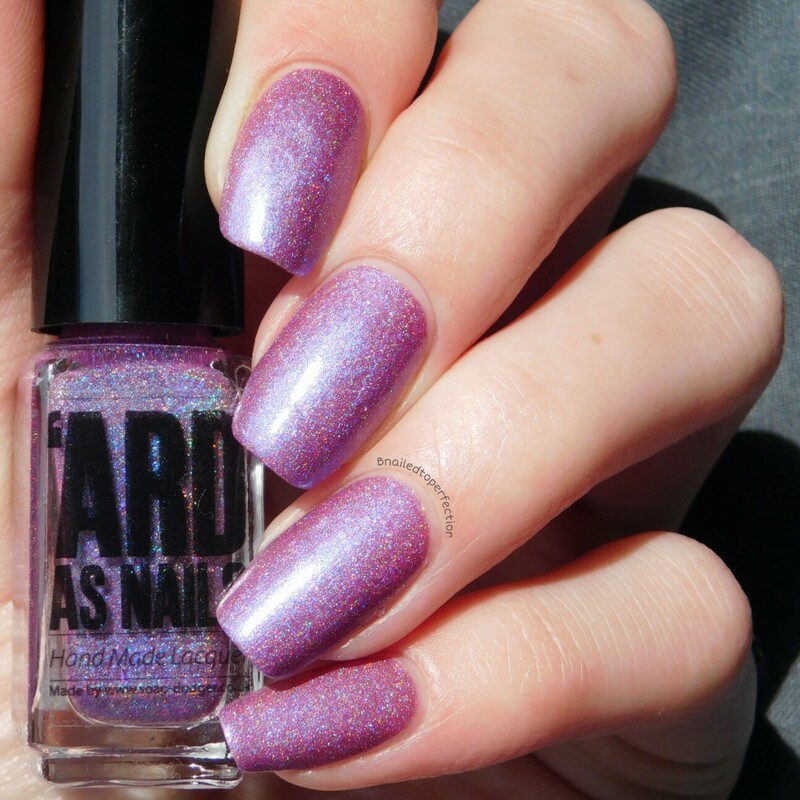 It's a light orchid with a holographic finish. In some light it has an almost blue hue to it which is just stunning. Two coats with no top coat. Just look how beautiful it is in natural daylight! You can really see the blue in it here. 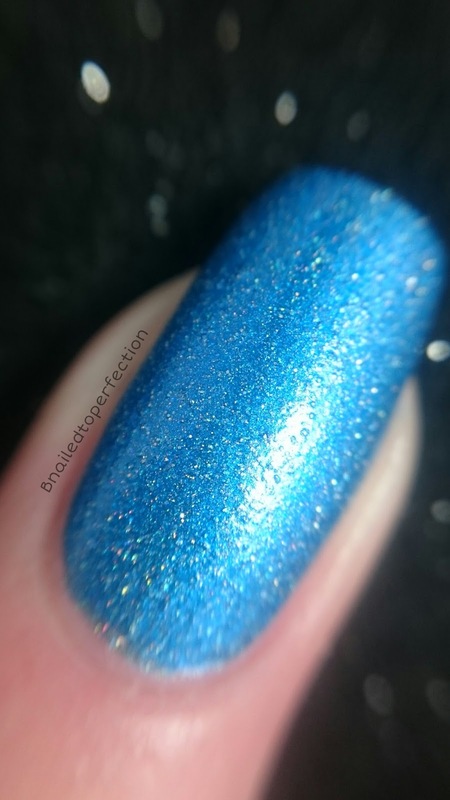 Next up is #AllTheBooks, a lovely medium blue holographic. 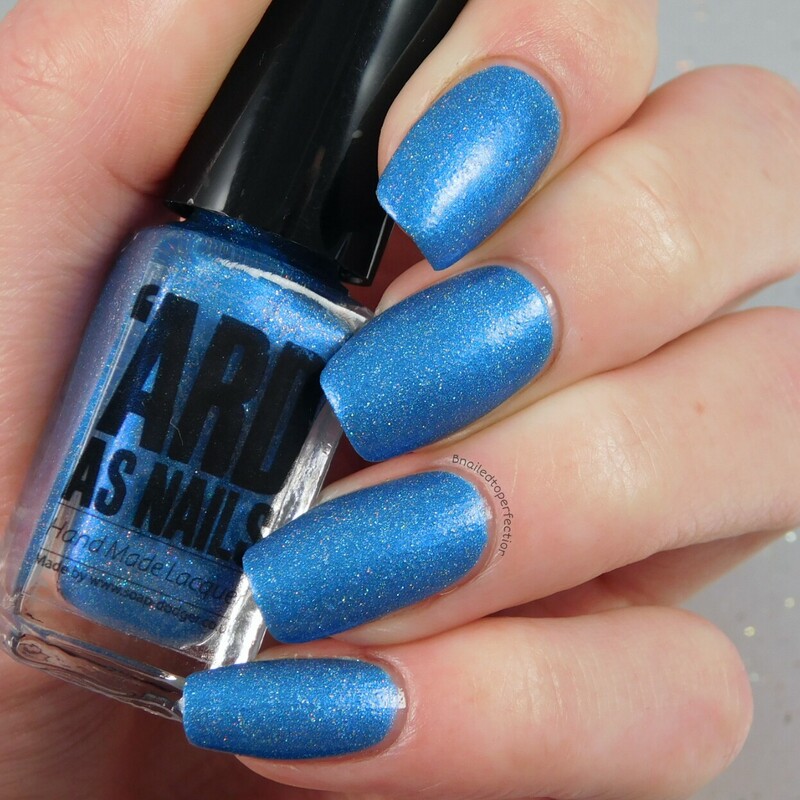 This is probably my second favourite from this collection because I do love blues. Two coats with no top coat. #Selfie is a nice minty turquoise colour. When I first saw bottle shots on Instagram I thought it was a teal colour but it's definitely more mint in person. Two coats without top coat. This was the last shot I managed to get in natural daylight as the sun went away :( damn you English weather! 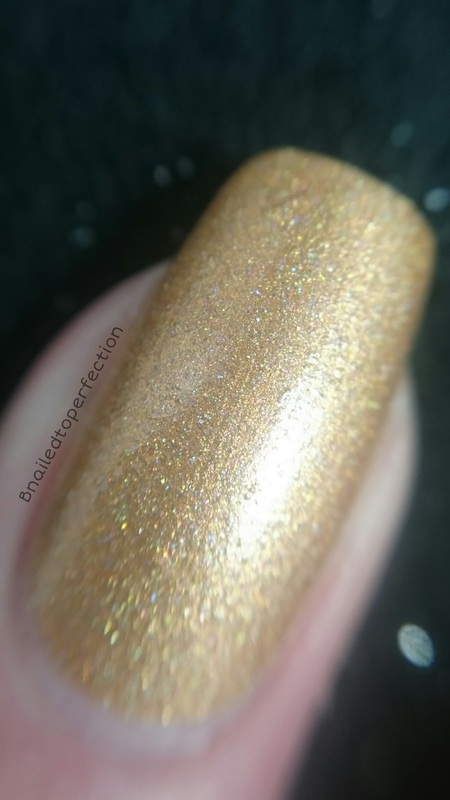 #Angel is a sandy coloured gold. 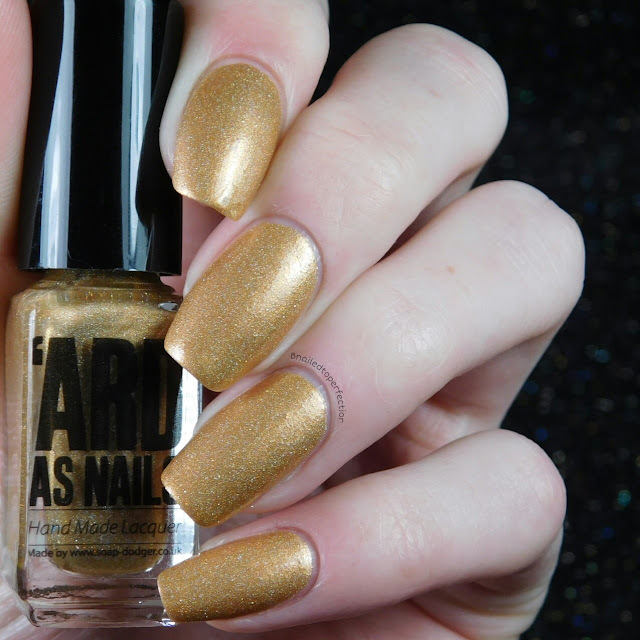 I'm not really a fan of golds as I feel they do nothing for my skin tone but this is a lovely colour. Two coats with no topcoat. 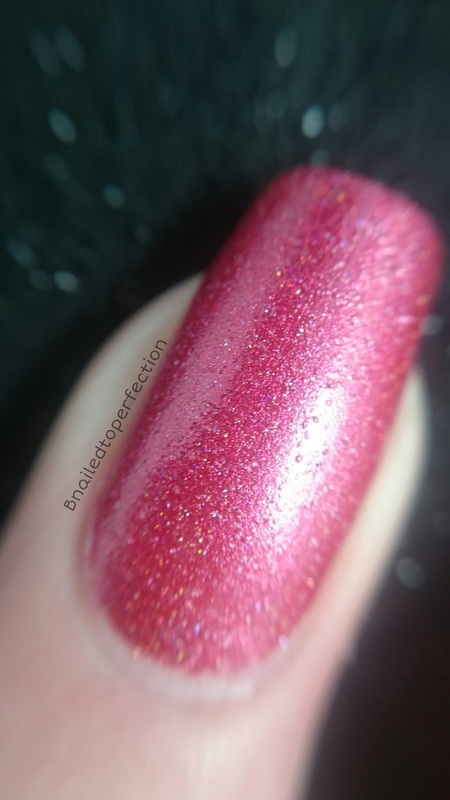 As mentioned before the sun went away after my last swatch so I had to do this under direct light out of my light tent. Doesn't give the same effect as natural daylight but you can still see the holo. 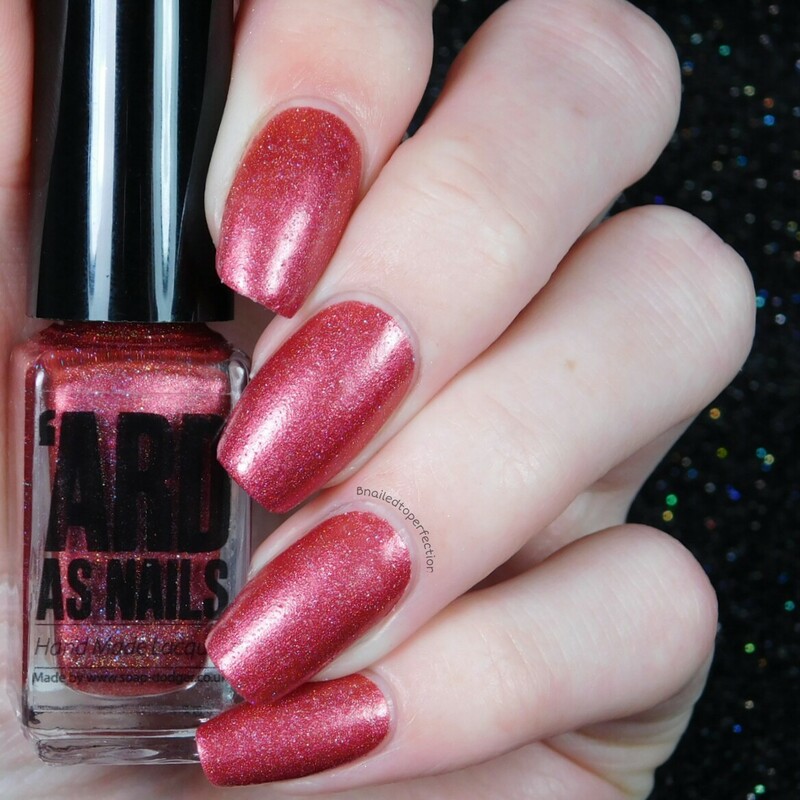 The last of the swatches is #PopYourCherry. This one is a gorgeous cherry red. I am not a red fan as they make me look like death but I can handle looking like death for this beauty! Wait for it.....it's a one coater! I know right!? 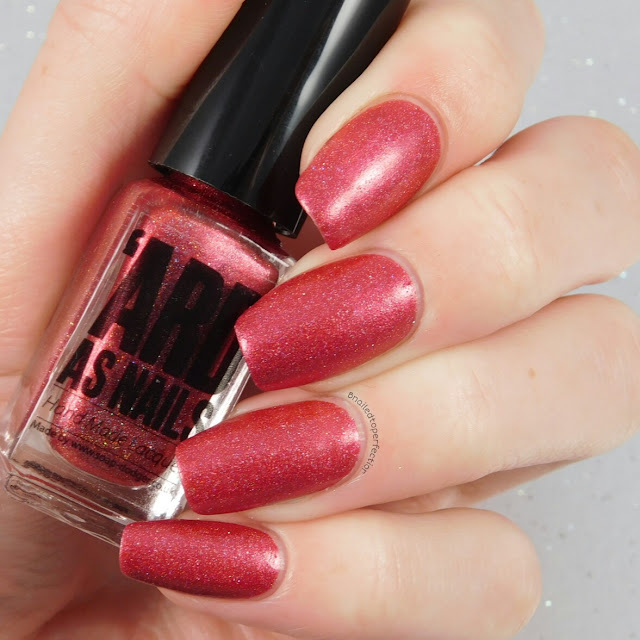 A stunning red in just one coat. Even under direct light you can see the holo. The cuticle oil that Kat kindly added to my parcel is amazing. It contains 4 oils; jojoba; argan; hemp and calendula. All these ingredients are excellent for your nails and skin. Especially hemp oil as it helps to repair and heal splits and cuts. It's not greasy at all and soaks in perfectly. Now on to the smell...well it's just divine! The first time I put it on my nails it instantly reminded me of the Aussie Miracle Moist shampoo. If you've even used that before you'll know what I mean. I would highly recommend it. I decided to create a nail art look with a few polishes from the collection. I used #AllTheBooks, #PopYourCherry and #Angel. If you can't already tell it's a very nautical inspired mani. 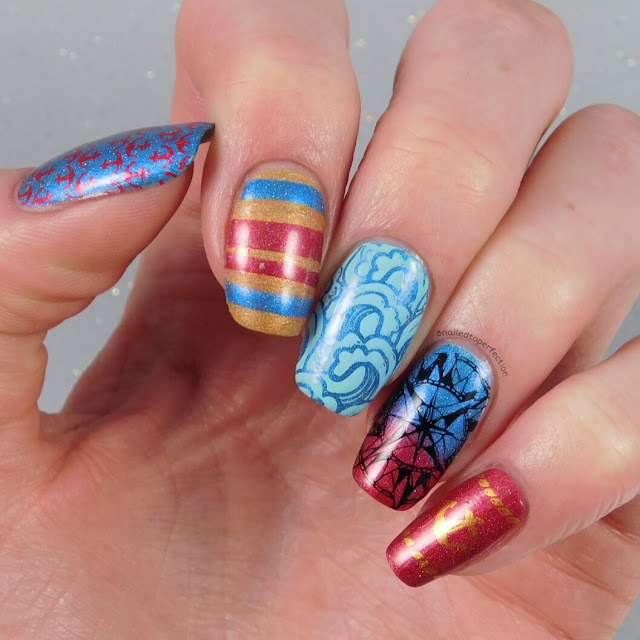 For the stamping I used Uber Chic 2-03, Pinguino from EDK, Colour alike in Mint blue; Blue sky: Red wine and lastly a gold from BPS. The #Hashtag collection is great! 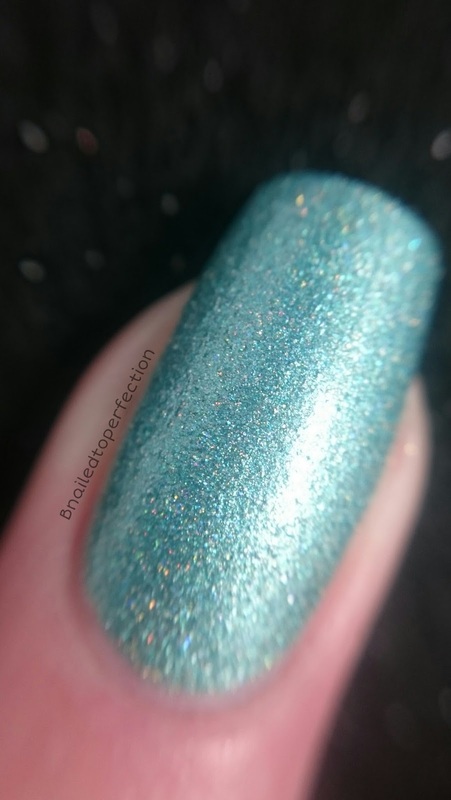 All the polishes have a great formula and a lovely holographic finish. 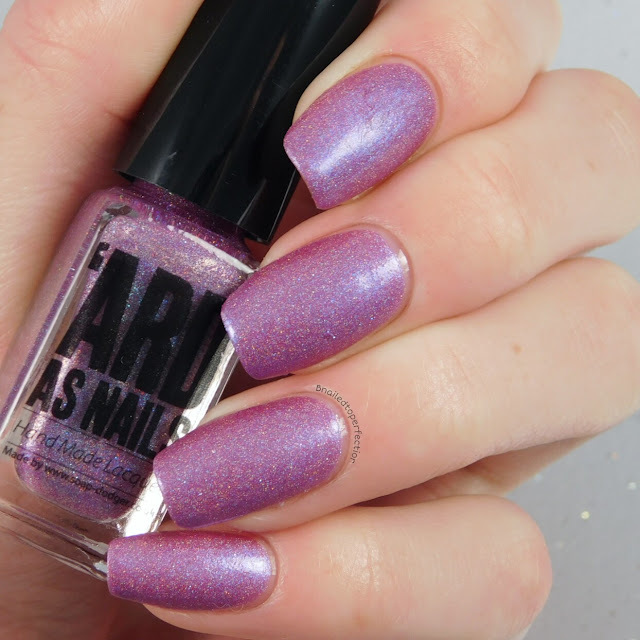 The website for 'Ard As Nails is currently down for renovation and will reopen on 24.06.16 with a new look. 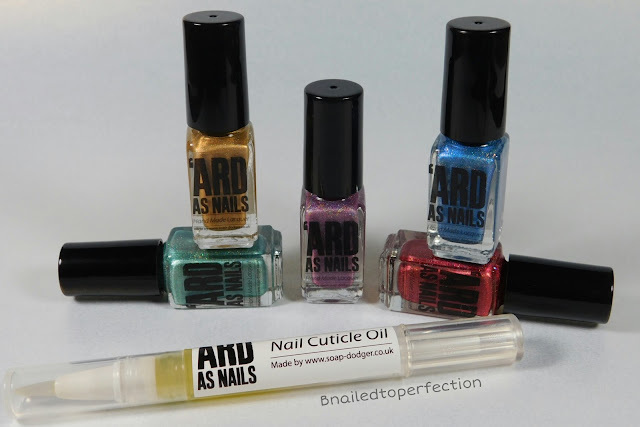 Both the #Hashtag collection and cuticle oil should be available again from the above date. Mini bottles retail for £3.50 each, a mini set will be £15, and large bottles are £6.50. The cuticle oil is £3.50. What do you this of this collection? Any clear favourite?